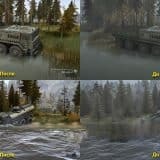 How to install Spintires: MudRunner mods? If you’ve had Spintires Plus in the first game (Spintires 03/03/16), or you are completely new to the game and are wondering how YouTubers, friends etc. have the Dev Tools and battery winch, you’ve come to the right place! SpintiresMod is an executable program. Meaning you download it, install it on your cumputer with a setup wizard, and go from there. 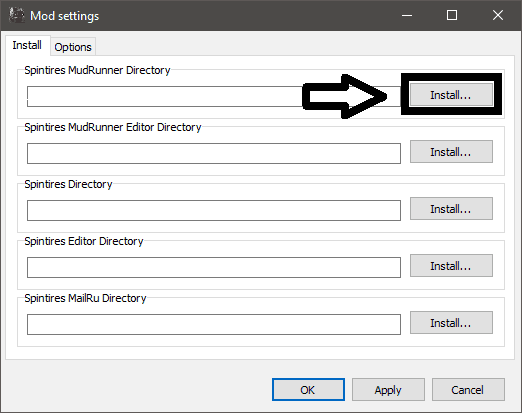 Click the Install… button on the right under Spintires Mudrunner Directory. Another window will appear that shows all your folders and drives. (or wherever you have Steam installed on your drive(s). In ? common, select ? Spintires Mudrunner and click Ok, then click Apply and Ok on the Mod Settings window. Still stuck on something? Follow exactly what I do in this How To video. Bottom of the page. In-game, you will have a new button in Settings at the bottom that will say Advanced Options. That’s the in-game Mudrunner Plus Config. 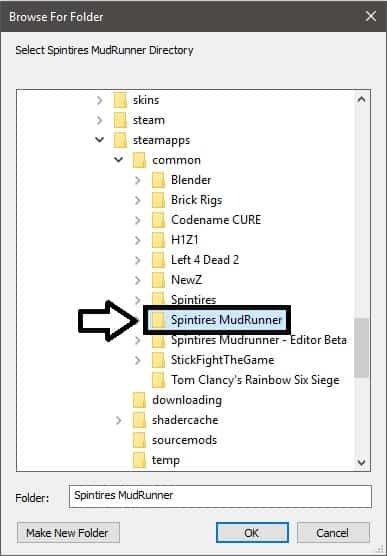 Also, you must launch Mudrunner from SpintiresMod.exe on your desktop. Any other way like through steam library in most cases wont work. Download the Spintires mod you wish to add to the game and extract the mods file. Check for the file ‘media.zip’ in the Spintires folder and open it. After you opened the ‘media.zip’ file, just drag and drop all files or folders which you extracted earlier to the right places. That’s it! 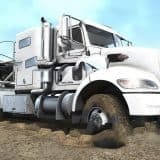 It is so simple to install and use Spintires mods! Give yourself a try and you will never regret it! We hope that our quick guide on how to install Spintires: MudRunner mod helped you to feel more comfortable while adding new mods to your game. We assure you – it is really worth trying all these new Spintires mods. 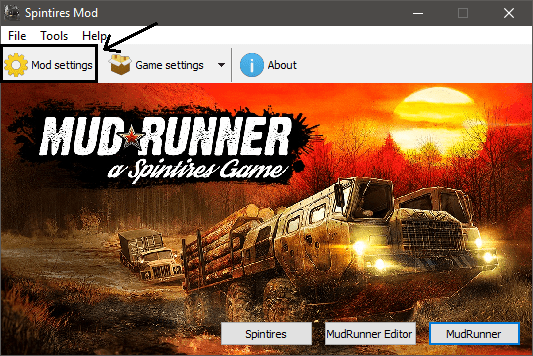 As you already know how to install Spintires MudRunner mods to you game, start browsing. New mods are usually added every day so you can always find all kinds of different Spintires mods to freshen up your game. Maps, vehicles, repaints, textures, tweaks, wheels and more – all these mods are created by passionate and dedicated Spintires community members. And as you already feel comfortable adding new mods and know how to install SpinTires mods properly, add as many mods as you wish and make your game more customized to your needs and wishes. Spintires community is continuously improving so grow together with other game fans – update your game with new mods from time to time and you will never feel that you missed something important. Feel what new trends are in the community and be the part of it. Build yourself a game like it was made special to you – customize it with the wide variety of Spintires mods.